Discover the animals of the world like you've never seen them before! 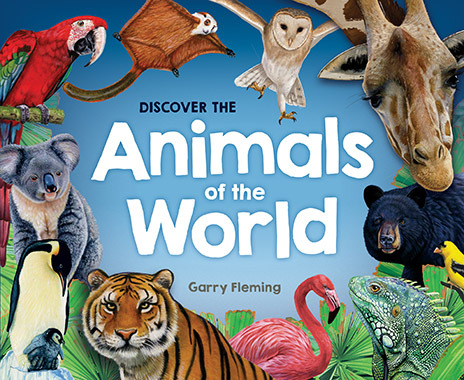 with beautiful and detailed illustrations by Garry Fleming, this book is full of facts that children will find fascinating. Discover the animals of the world like you’ve never seen them before! A fold-out flap on each spread will advise the name of every animal, and an alphabetical listing at the back will reveal even more facts about each animal in the book, as well as the page number where you can find its picture.